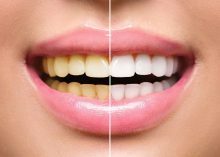 7 Teeth Whitening Options: Which Ones Work Best? Q: I usually have a glass of red wine with my evening meal. Is it safe to drink wine or other types of alcohol if I’ve been prescribed antibiotics?